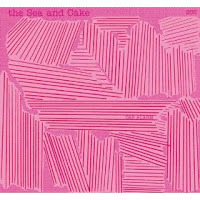 The Sea and Cake releases have sonically always been the stuff that dreams are made of. The band was formed during the mid-nineties in Chicago, Illinois, they have always had this rare ability to translate vocals, and instrumentation into pluming intensities, all the while holding a magnifying glass that perfectly captures the beauty of utopia in human existence. Their music offers a soft moodiness and a calming artistic fidelity to any environment, whether it be a reflective drive outside the city for the weekend or an intimate house party. The Sea and Cake offer a musicianship that is renowned. 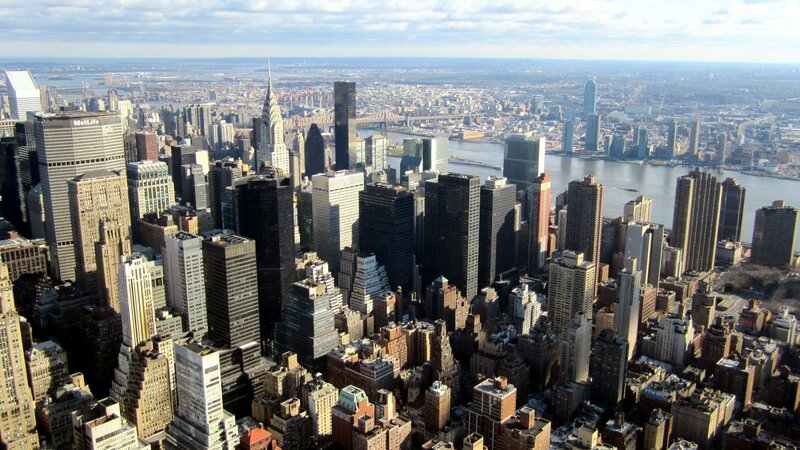 Outside of an alt rock lo-fi sensibility, there is also a major jazz influence. The spiraling vocal stylings of both Sam Prekop and Archer Prewitt resonate sensitively alongside the upbeat swing and rhythmic grooves of John McEntire and Eric Claridge. With song titles like, “Weekend,” “Window Sills,” and “a Fuller Moon” it is more than easy to have your mood altered to this finely tuned, rapturously delightful album Car Alarm. …so reads Colourmusic’s personal description on Myspace. The premise is that the songwriter of the band has synesthesia (he sees colors when he listens to music), thus warranting the pen name of “Roy G. Biv;” a clear reference to the spectrum of visible color. The band’s gimmick continues and, to further protect Roy’s identity, “he’s taken four of his friends who are all pretending to be him” on tour. While the colorful condition and cheesy pen name make some sense, I cannot decipher why they’ve titled themselves “Colourmusic.” Instead of finding a rainbow of melody, I fell into a grayscale of taupe-colored lyrics and bland vocals that are as blank as the band’s signature stark-white costumes. While some may liken the band’s inconsistent sound to the color spectrum, I just found it confusing. With a song like “Motherfather,” the band pursues an ‘Of Montreal’ sound but falls short with the incessant use of high-pitched, wobbly whines straight from the nasal passageways. 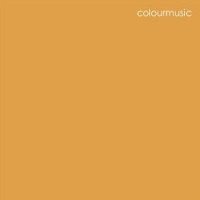 Then the sound shifts to the other side of the spectrum and Colourmusic sounds more like a group of Franciscan monks or a boy’s choir singing indie music (as found with “Fall Song”). As the sound bounces from genre to genre, the lyrics are simple and repetitive to the point of reducing the song to one big chorus. From a listener’s perspective, the vocals came off as awkward and trying. With the volume turned low, I decided that the strange secrecy and protection were necessary because who would really want to be responsible for these songs? During the mid-eighties, electro-synth-pop was made famous by groups like The Cure and Depeche Mode. Now groups like the Los Angeles based duo, Uh Huh Her, take elements from 80s synth-pop and make it relevant for today’s audience. 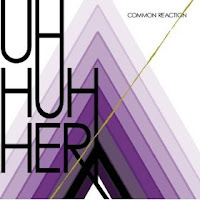 Uh Huh Her, comprised of Camila Grey and Leisha Hailey, form their own indefinable genre of music on their debut album, Common Reaction. The album is chock full of fun and eclectic indie-electro music, which has ambiguous lyrics, pop fueled guitar choruses, and songs which you play on continuous repeat. For a great indie album, check out the indefinably brilliant Uh Huh Her.